The fourth film in the Mission: Impossible film series is to come out at the end of 2011. 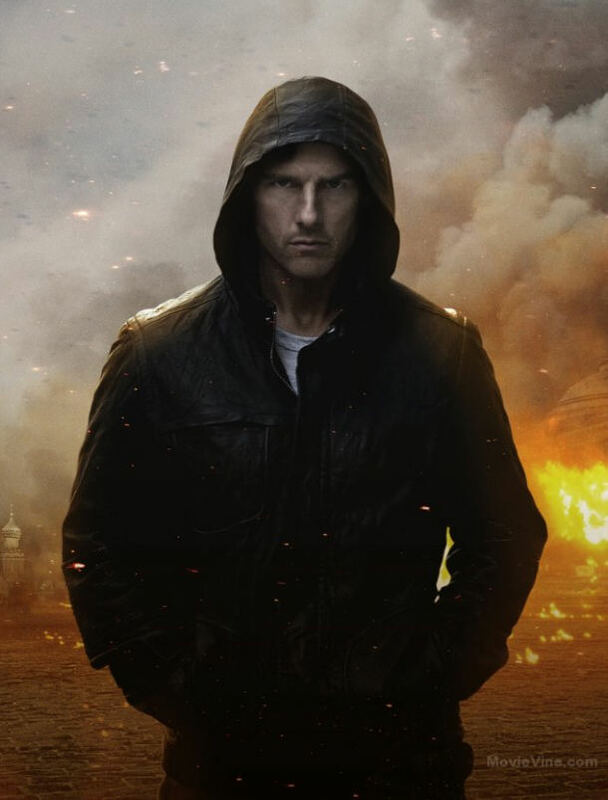 The film revolves around Ethan Hunt (Tom Cruise) on a mission to purge his name of a bombing at the Kremlin of which he and his team have been framed for. The film stars Tom Cruise, Jeremy Renner, Ving Rhames, Simon Pegg, Josh Holloway, Tom Wilkinson, Paula Patton, Michael Nyqvist, Anil Kapoor, Lea Seydoux and Vladimir Mashkov. The film will be released into theaters on December 16th, 2011. There are currently 1 Comment on New Promotional Photo of Tom Cruise in “Mission: Impossible – Ghost Protocol”. Perhaps you would like to add one of your own? I think this film is going to be very epic, the concept is great and it will be interesting to see how the story unfolds now that they are classed as terrorists. Tagged: Anil Kapoor, Ethan Hunt, Jeremy Renner, Josh Holloway, Lea Seydoux, Michael Nyqvist, Mission: Impossible - Ghost Protocol, Paula Patton, simon pegg, Tom Cruise, Tom Wilkinson, Ving Rhames, Vladimir Mashkov.